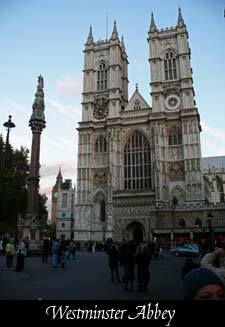 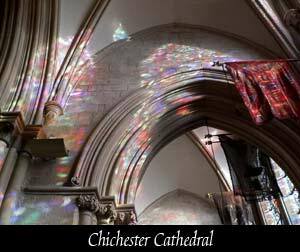 In our travels, we've been fortunate to visit some of Great Britain's most beautiful cathedrals, as well as a few in France. 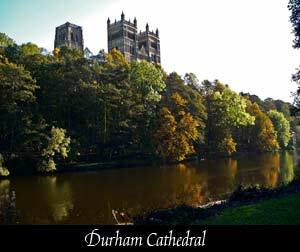 It never ceases to amaze us that these majestic buildings are still standing, and in some cases have been standing for close to 1,000 years. 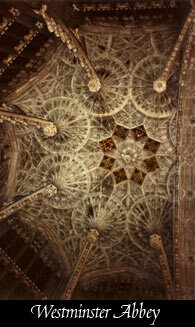 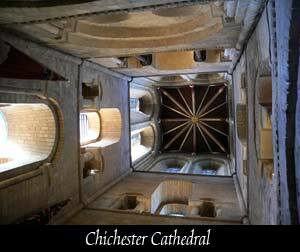 If they are awe-inspiring today, imagine how someone in medieval times would have felt looking up at that fan-vaulting!!! 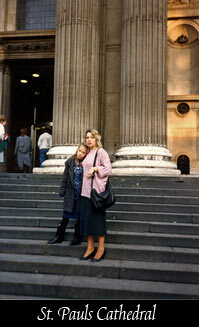 white high tops look really out of place. 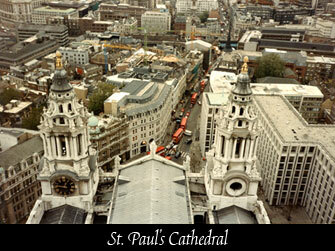 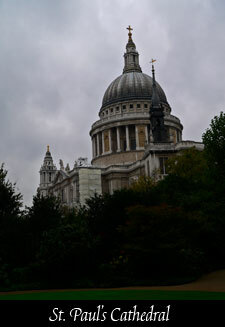 We attended a service at St.Pauls' on our first trip. 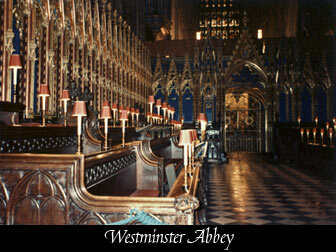 got this shot of the choir back in the day. 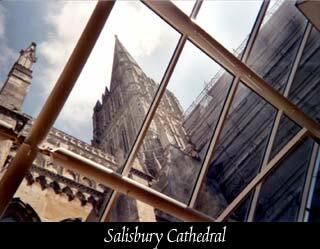 We all climbed up to the first viewing level, but Allan continued all the way up to the golden gallery at the absolute top for this photo. 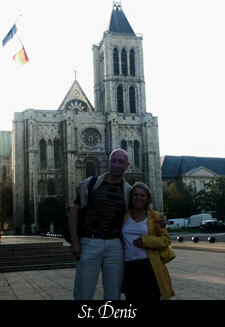 which time we took this photo. 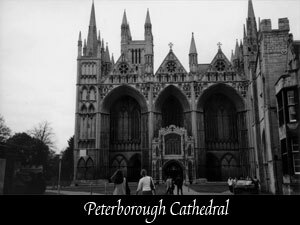 film Elizabeth The Golden Age. 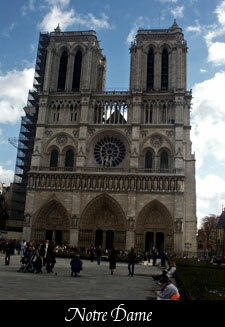 Many tourists have taken this shot. 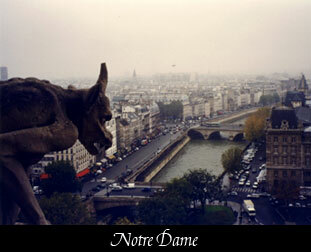 got brave enough to go to the top. 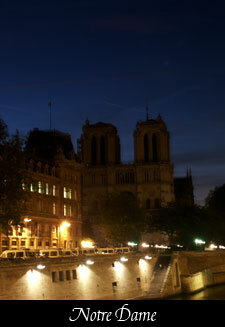 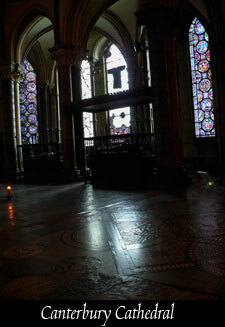 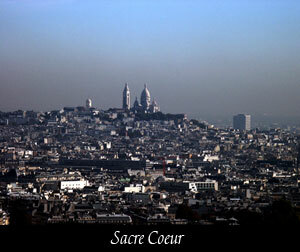 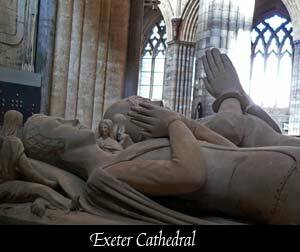 where many French Kings and Queens are buried. 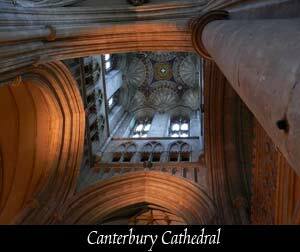 1338 to prevent the collapse of the central tower. 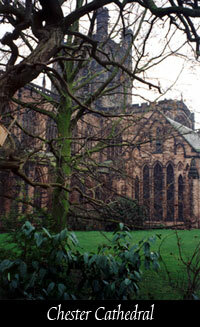 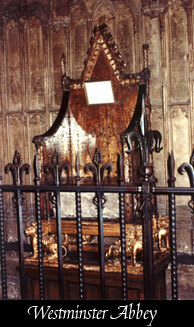 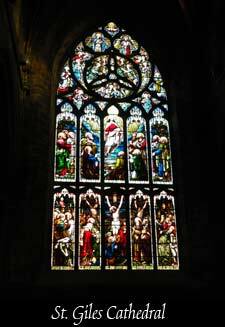 Chester Cathedral, begun in 1250, is the third church to stand on this spot. 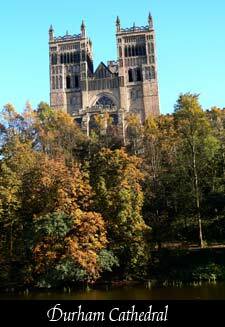 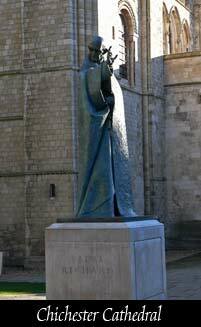 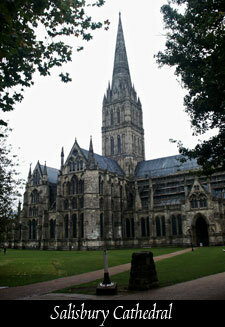 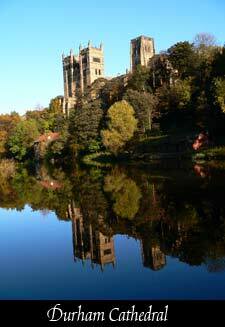 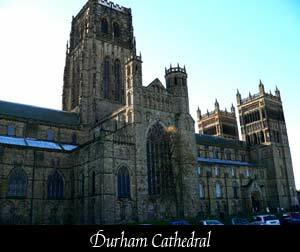 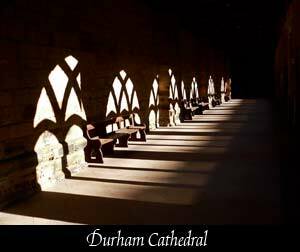 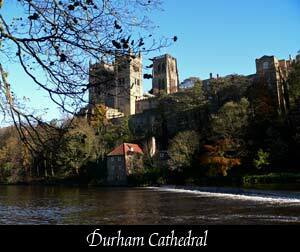 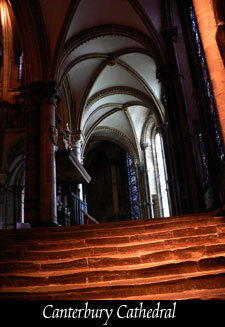 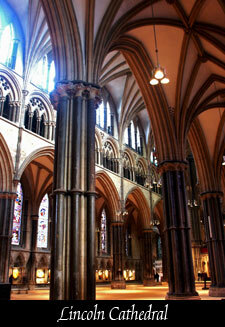 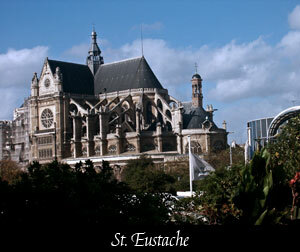 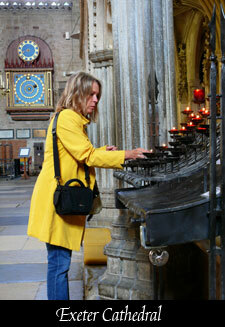 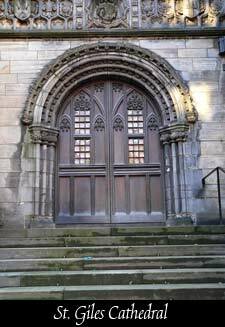 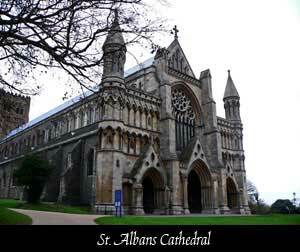 The first was established around AD 907 and was dedicated to St. Werburgh, the Anglo-Saxon abbess. 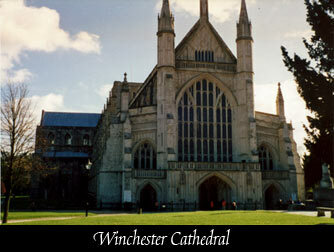 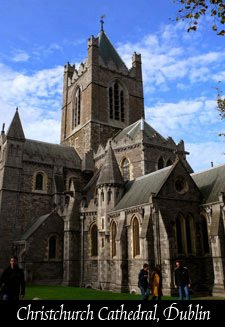 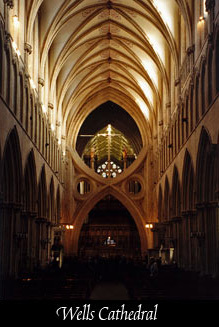 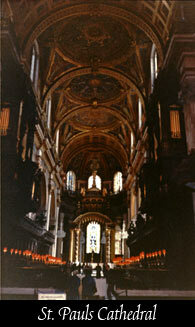 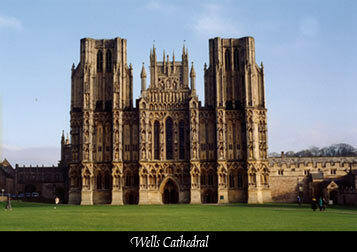 The original abbey contained her relics and became a site of medieval pilgrimage. 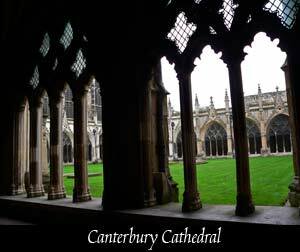 In 1092 a Benedictine Abbey was founded and it's monastery remained for 500 years until the dissolution, when the Abbey Church became Chester Cathedral. 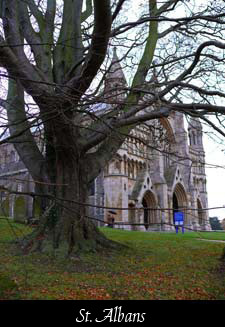 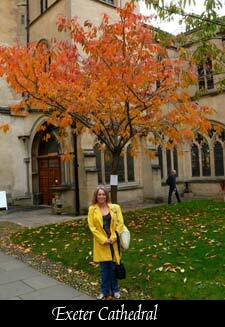 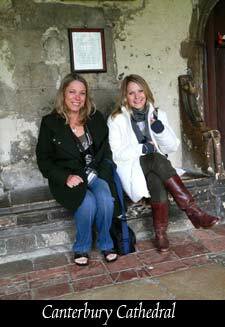 Taken by Holly from the tearoom at Salisbury. 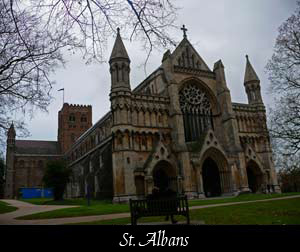 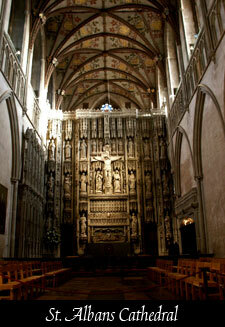 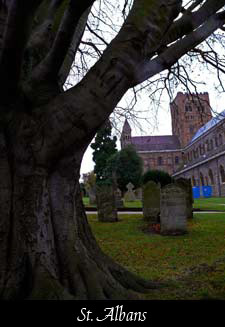 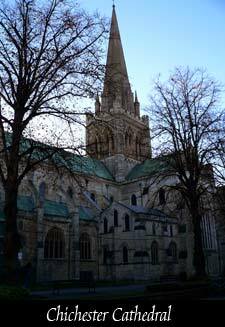 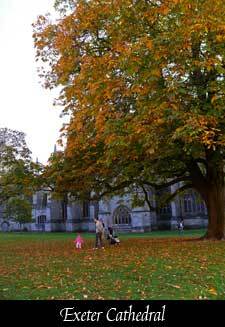 St. Albans is a very easy daytrip from London. 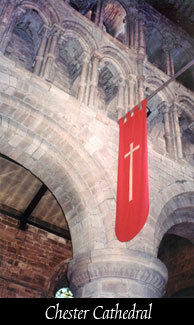 Norman arches in Chester Cathedral. 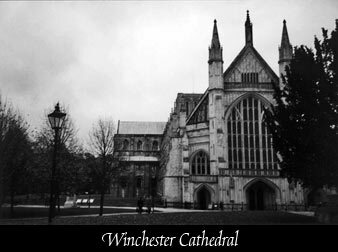 Winchester Cathedral still has sections of floor laid with original medieval tile, which amazingly enough, you are permitted to walk on! 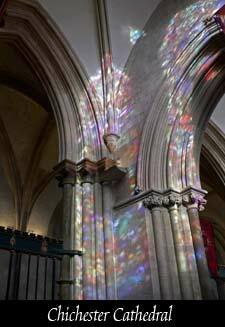 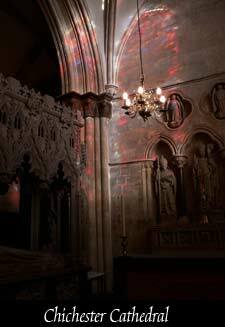 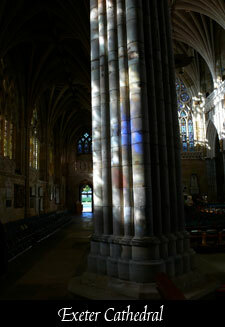 Sunlight coming through the stained glass. 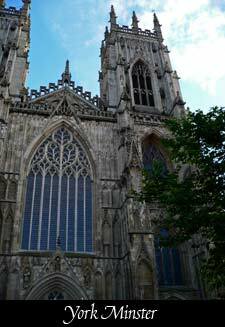 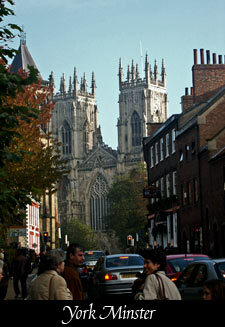 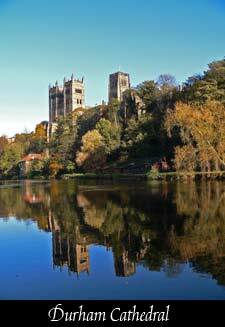 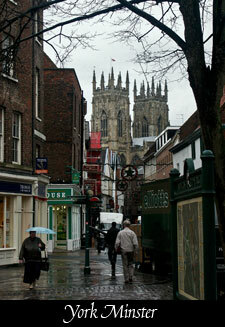 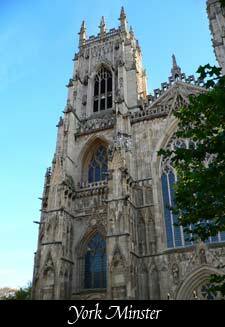 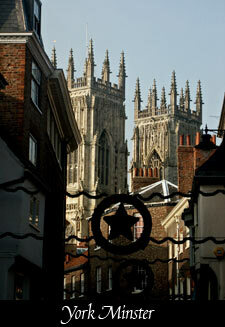 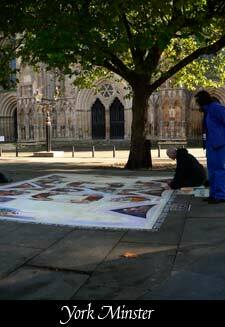 York Minster is the largest Gothic Cathedral in England. 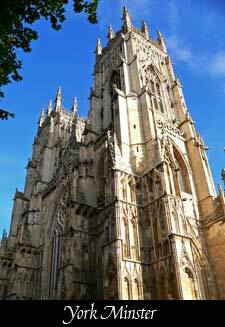 York holds a special place in our hearts....it's an almost perfectly preserved medieval city in many respects, and is still surrounded by most of its walls. 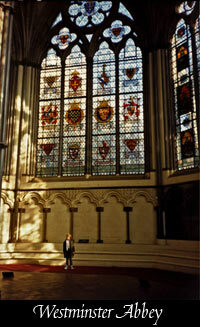 The views from certain spots on the walls are fabulous. 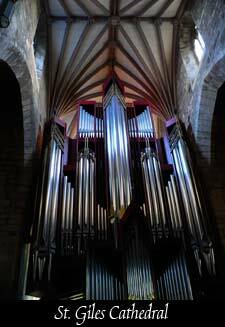 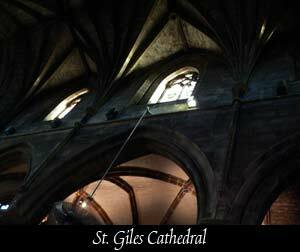 The immense pipes of the organ In St. Giles. 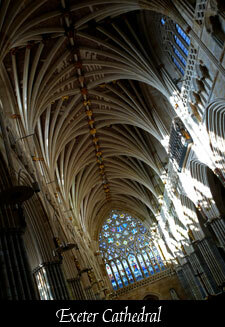 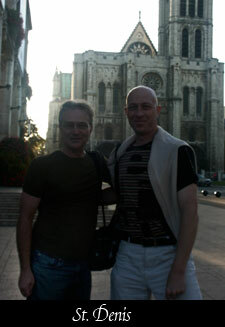 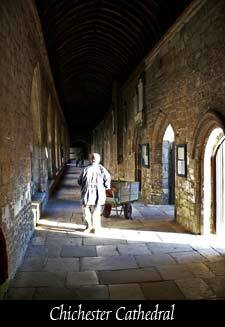 to see and point out a nice shot of the Cloisters, which Allan then took. 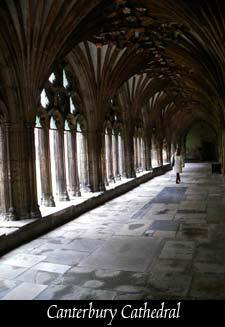 The Cloisters don't actually count as being inside the cathedral, right?? 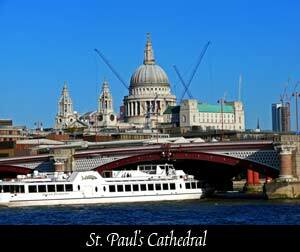 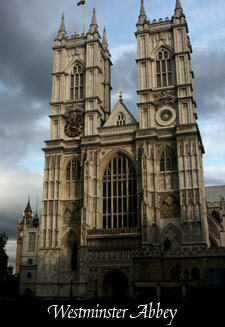 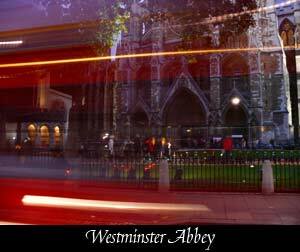 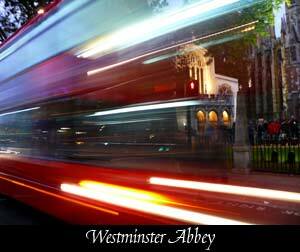 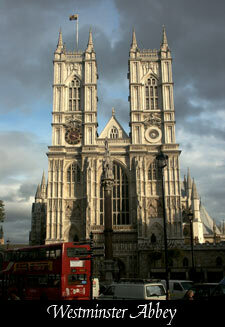 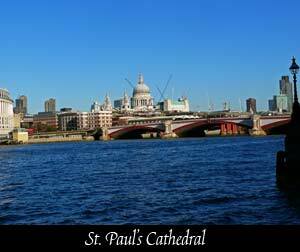 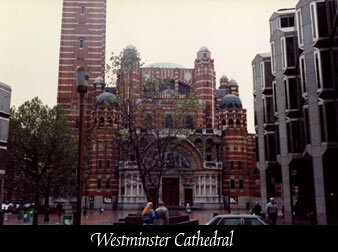 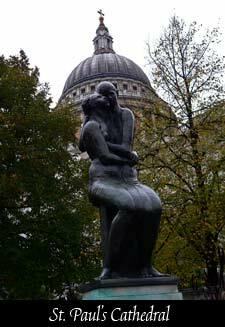 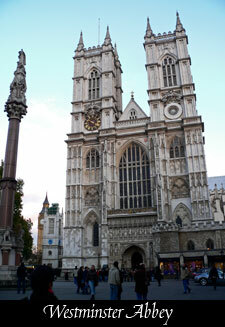 St. Paul's and Westminster Abbey are two spots in London where we tend to return time and time again. 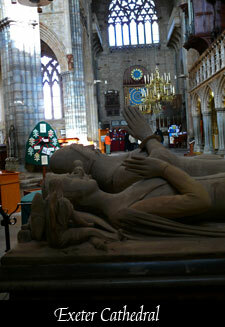 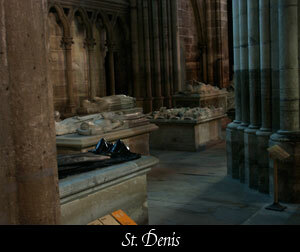 The little cloisters museum at the Abbey has many lifelike funeral effigies of some of the English kings and queens. 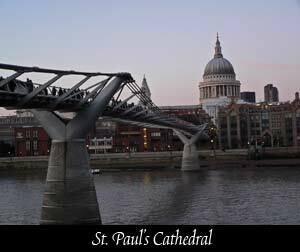 It's almost like looking them in the face. 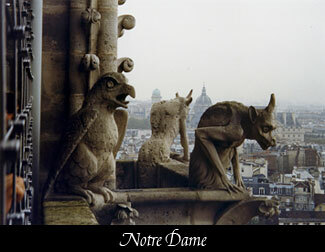 Eerie and strangely cool! 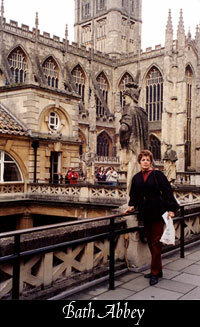 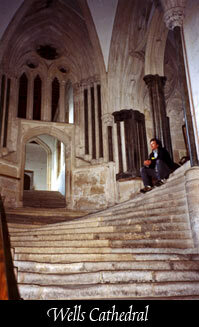 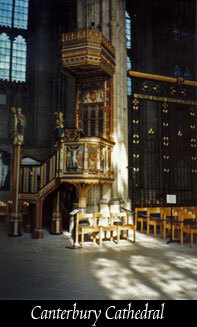 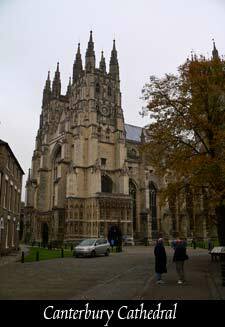 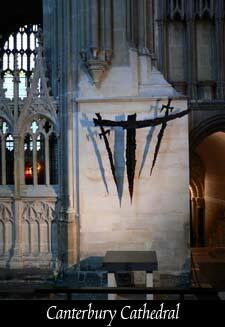 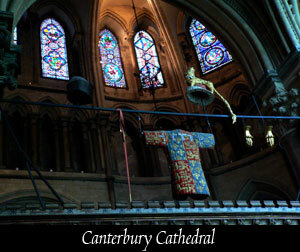 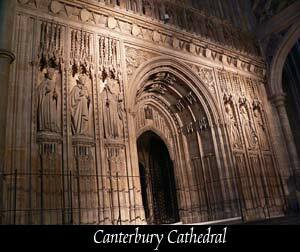 We visited Canterbury on our first trip to England in 1989 and have returned many times since. 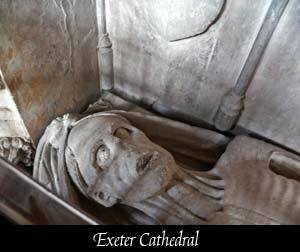 There is a wonderful book called The Quest for Becket's Bones which theorizes that Becket's bones were not actually lost during the reformation, but are still buried in a secret spot in the crypt of the cathedral. 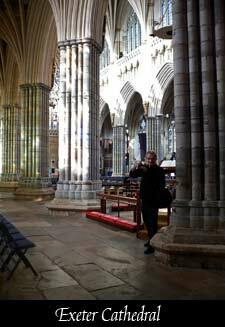 Look at the photo to the right.....can't you just imagine all the hundreds of souls who must have walked up and down those stairs over many centuries to wear those grooves into the stone. 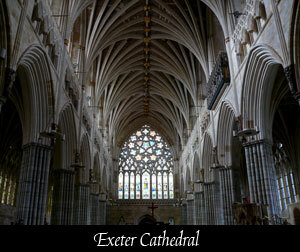 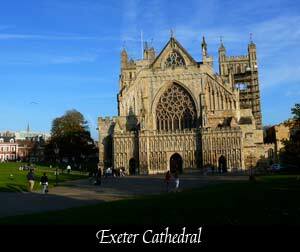 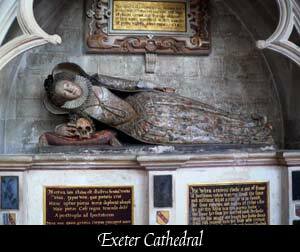 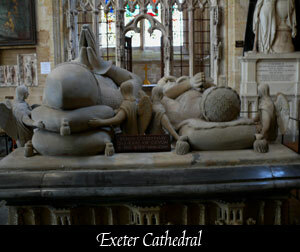 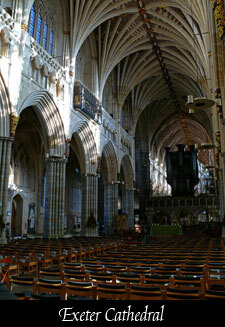 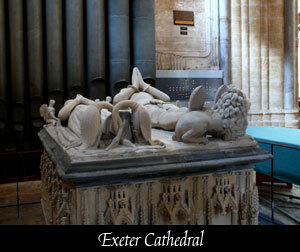 Exeter Cathedral has some very unique, beautiful and downright strange tombs. 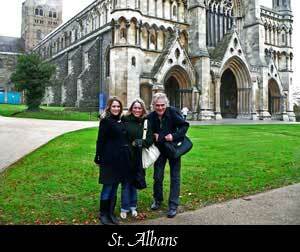 Diane practically had to crawl into the one at the right to get this photo! 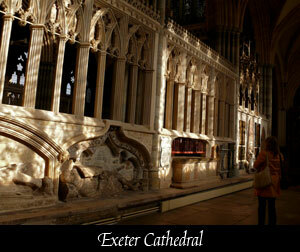 The day we visited Exeter the afternoon sun came out and was pouring through the windows, making spectacular colored patterns on the old stone. 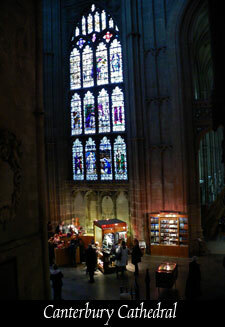 Note the multi wired control panel on the wall. 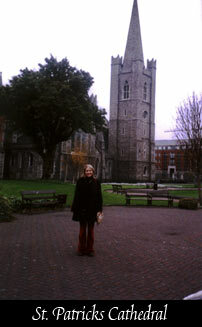 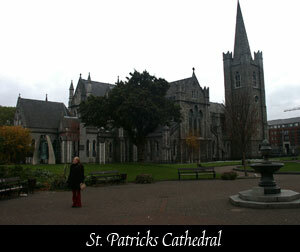 Holly at St. Patricks in Dublin.